Those of you who teach part-time or full-time in colleges or universities will be interested in the following resources to help teach Lean management to students. Use these books for senior-level undergraduate courses and graduate-level courses in engineering and business school curricula. Corporate training and leadership development professionals will also find these books helpful to teach Lean leadership and Lean management to company leaders. 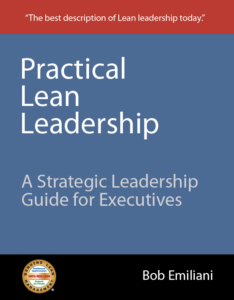 Practical Lean Leadership was the first workbook to describe Lean leadership and link Lean principles and tools directly to leadership beliefs, behaviors, and competencies. 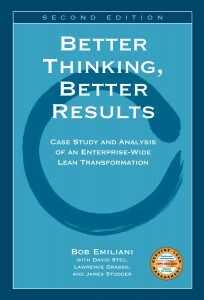 It is the result of 13 years of research and has been called “the best description of Lean leadership today.” It examines the leadership beliefs that precede the required behaviors that inform the Lean leadership competencies essential for Lean transformation success, and includes many exercises to help students learn Lean leadership and how it differs from conventional leadership. Speed Leadership is a breakthrough in understanding leadership and how to improve leadership capabilities and effectiveness. It takes a process view of leadership in preference to the traditional view of leadership based on personality, behaviors, or authenticity. Understanding leadership as processes is a powerful new perspective on what constitutes effective leadership and offers new pathways for meaningful improvement. 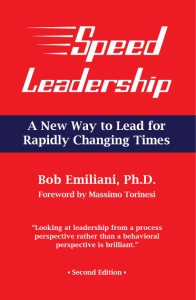 Speed Leadership includes many exercises to help students understand the the process view of leadership and how it is superior other models and methods. 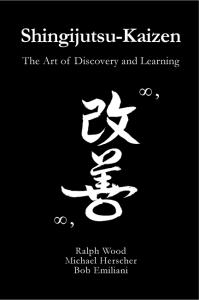 Shingijutsu-Kaizen and Kaizen Forever teach the genba kaizen method used by Toyota that led to their great success and the success of organizations world-wide. They reflect the teachings of Chihiro Nakao, who learned directly from Ohno-san and is perhaps his most accomplished disciple. There are no other books like these. 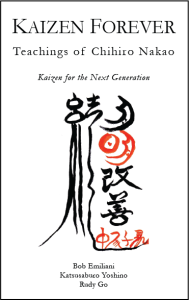 Together with Toyota Kaizen Methods, they form the basis for an excellent course in genba kaizen. Don’t forget to find a local business engaged in genba kaizen where students can gain valuable hands-on experience. Of course, if you are teaching Lean management, your teaching method should be Lean teaching! Lean Teaching is a practical guide for college and university professors, and also for corporate training professionals. Based on 15-plus years of classroom experience in applying Lean principles and practices, it presents a new teaching pedagogy that is thoroughly aligned with Lean principles and practices. Adopt and learn the Lean teaching pedagogy to become a better teacher and more effective. Your students will learn more, remember more years later, and be far more satisfied with their learning experience. 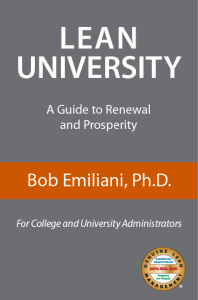 If you love Lean management, then give copies of Lean University to your senior administrators. 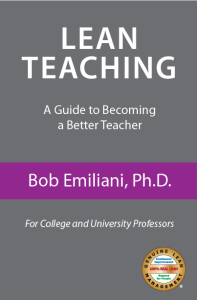 It is a practical guide that explains how to correctly lead a Lean transformation and create a true student-centered vision for teaching and administration.